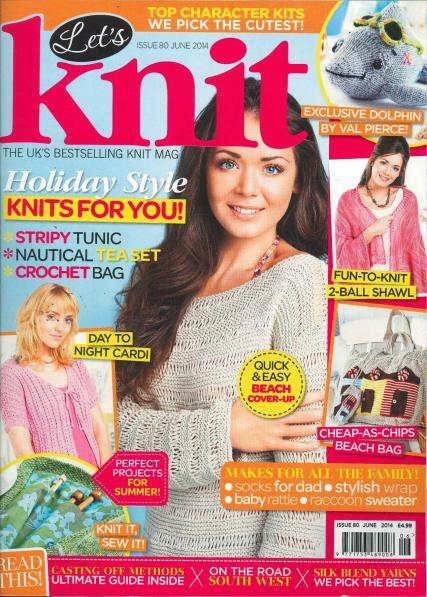 Let’s Knit Magazine provides all things knit to the reader and is more than a knitting pattern book. Get news and information about yarns. Buy a single copy or subscription to Let's Knit magazine. Receive inspiring designer patterns. Learn basic knitting in each issue. Get new knitting patterns – at least 20 fantastic ones are included. These patterns will temp you to begin a new project. Learn about the latest fashionable knitting project for your enjoyment. Get free patterns of our exclusive speedy, quick knitting projects that take a few minutes to complete. Tested and easy to follow patterns for all types of knitting skill levels, from beginner to advanced. Get classic designs with an updated twist. User friendly, step-by-step instructions are clear and easy to follow. Find out all the latest news in the knitting circle. Get information on purchasing yarn and how to select the type for your newest project. Each issue features a stylish knitted design. We feature a wide range of techniques, such as cables, felting, colour work, working in the round, and more.